"Migration" tells the stories of the UK's unsung heroes. 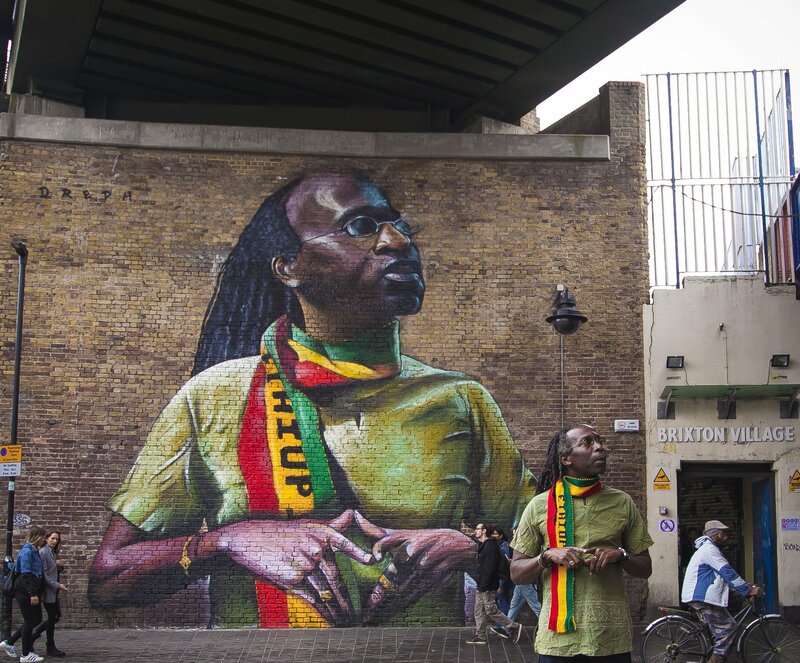 Last summer, stunning murals of black women began to appear on the walls of London buildings. 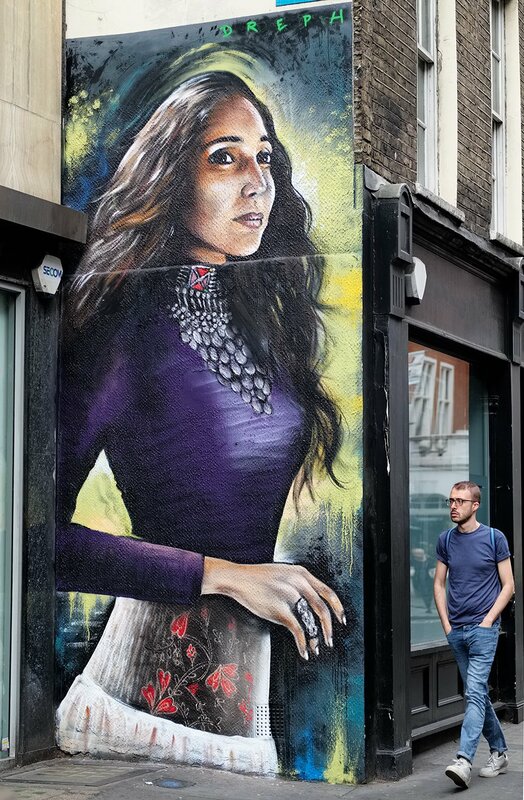 These portraits, the work of street artist Neequaye “Dreph” Dsane, highlighted the diversity of London, and the UK more broadly, while creating a space for everyday women of color and their stories. Now, Dreph is back with another powerful portrait series — and this time, he’s shining a light on immigrants. Simply called “Migration,” Dreph’s newest collection of portraits has thus far featured three individuals. All portraying first-generation immigrants, these works are the artist’s attempt to capture the diversity and depth of the many inspiring immigrants working to move the UK forward. Michael John is a Grenadian vendor at Brixton Market, who was recently honored by the city council for his community engagement. Hassan Hajjaj, who moved to the UK from Morocco at age 12, is an acclaimed international artist. And Fatima Najm is a Pakistani human rights activist who works with communities affected by violence and poverty around the world. Dreph plans to unveil seven more murals in the coming months, in locations across the UK, he told Global Citizen via email. The artist also spoke with us about the message behind his project, the urgency for telling immigrant stories right now (especially as the UK deals with the shocking “Windrush scandal”), and more. Here’s what Dreph had to say. Global Citizen: What was the inspiration behind your latest project? Neequaye Dreph Dsane: My portraits and their accompanying backstories strive to present an alternative narrative; “Migration” is a series of murals portraying first-generation immigrants who have made the UK their home. The series is an acknowledgement of the contributions made by migrants to the UK. The subjects so far include a market employee, an artist, and a human rights activist. 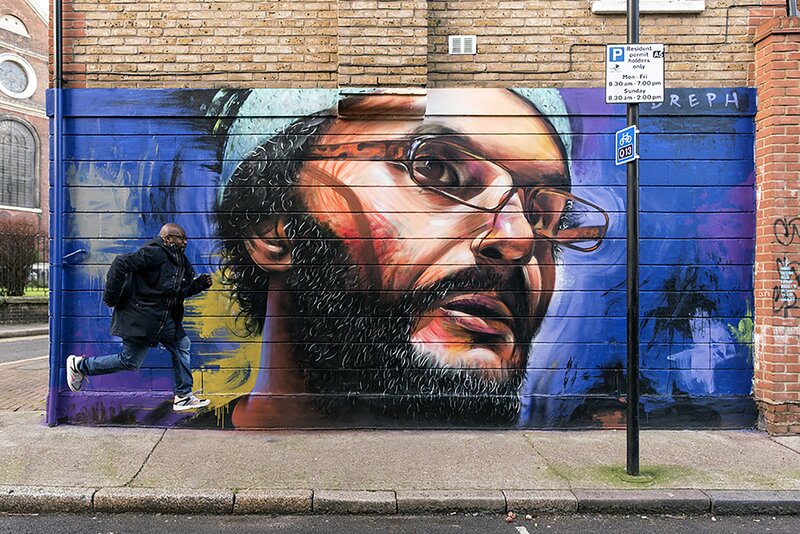 A total of 10 portraits will be painted on the streets of the UK. Why choose now to focus on telling immigrant stories in the UK? After Brexit, and with the national conversation around immigration, I have been inspired to show the human face, and tell the stories of individuals, from some of the communities that make up the UK’s diverse immigrant population. Most recently the Windrush scandal has highlighted the urgency for open and honest discourse around the subject. What are some of the misconceptions about immigrants in the UK? Is your work a way of dispelling some of these myths? The UK is a multicultural society comprising an incredibly diverse immigrant community. Individuals find themselves here for myriad reasons. There are many across the UK that really believe that immigrants can simultaneously come over here to steal their jobs whilst also being benefit scroungers. What I know is that my parents came here from Ghana in the ‘70s with a suitcase each, and worked their way to senior positions in their respective fields of work. They made huge contributions to their host society, and raised two sons to do the same. The subject of immigration is one that invariably elicits polarised responses. There is uncertainty, fear, and resentment on both sides. I would like to see this series, albeit in a small way, inspiring conversation and helping to deconstruct stereotypes. How do you determine which individuals you profile? My subjects are, for the most part, everyday people — unsung heroes and heroines whose triumphs I seek to highlight and pay tribute to. For the most part they are people from my social circle or referred to me, whose stories I find compelling, thought-provoking, and inspiring. Reading individual stories has the power to get us to take a step back, and consider the bigger picture. How do you determine where you put up your murals? Do their locations have special significance? Visibility is important to me, as I hope to inspire passers to learn more about the story behind the person I have painted. For this project, the first three portraits have all been painted in close proximity to where the subjects live or work. Michael literally works in front of his mural in Brixton Market. Hassan’s shop, Larache, is around the corner from his mural, and Fatima lives a few streets away from her portrait. The following seven will be painted in some of the major cities of the UK, including Newcastle, Manchester, and Nottingham. Large, high-profile walls are a challenge to find in our inner cities, as they are often used for advertising, however they are possible to come by — if you’re prepared to put the work in. What can we look forward to seeing in the next seven portraits? I’m looking forward to the journey and learning and exploring the subject further. I want to tell a broad range of stories, so for the following seven murals I have invited the general public to feature in the series. 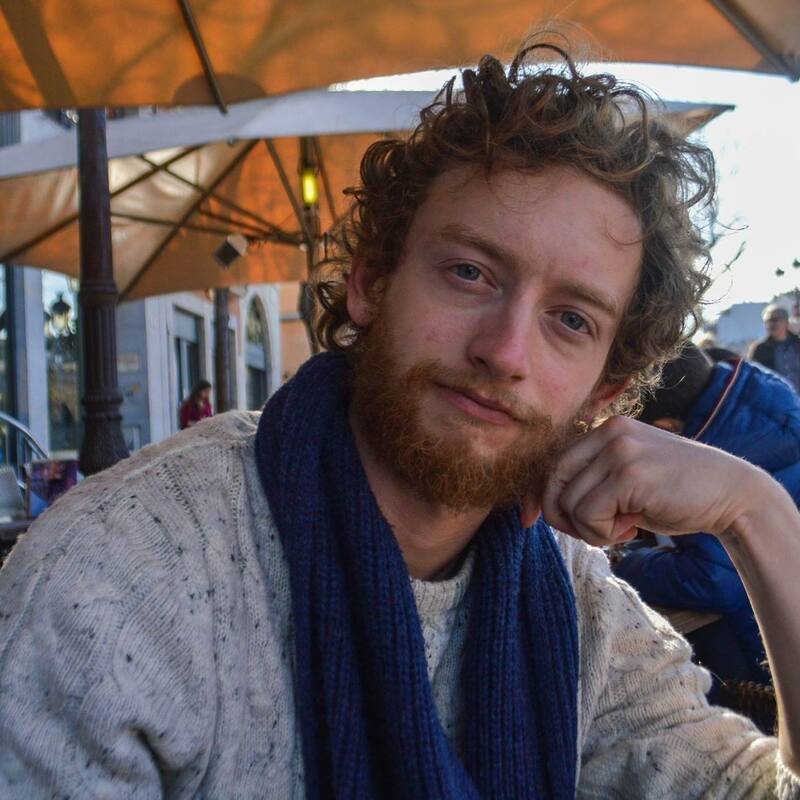 We are holding a “Call Out” at the Migration Museum in Lambeth, South London, where you can learn more about the project and potentially sit for one of my portraits. We are encouraging the public to bring a friend, family member, or colleague whose story they feel deserves to be told.